Nephi and his family continue the construction of the ship, a ship that was not built; “…after the manner of men…” (1 Nephi 18:2) Nephi finishes the ship and sees that it; “…was good, and that the workmanship, thereof was exceedingly fine…” (1 Nephi 18:4) After Nephi’s brothers saw the craftsmanship of the ship, they did humble themselves before the Lord. Nephi explains that while in the wilderness (before building the ship), Lehi [Nephi’s Father] had two sons ‘Jacob’ and ‘Joseph’. 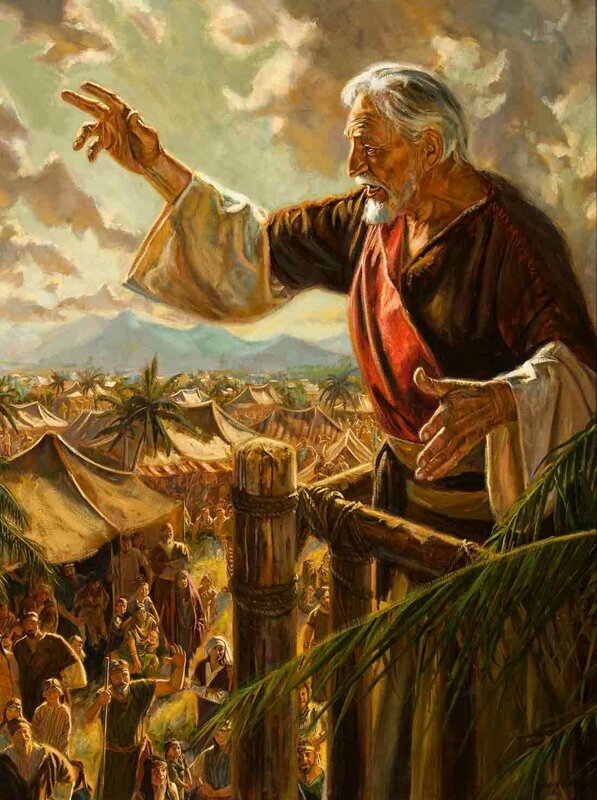 Nephi and his entire family loaded up the ship with all their provisions and went forth across the ocean as the wind blew. After traveling the sea for the space of many days, Laman and Lemuel and their families began to dance and sing with “…much rudeness…” (1 Nephi 18:9) In other words, they were rioting and rebelling. 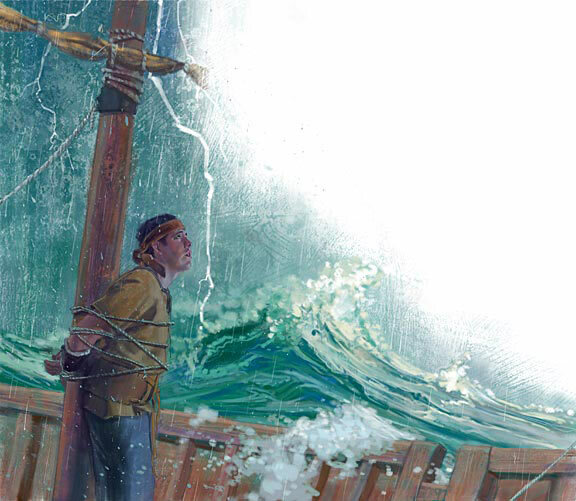 Nephi was filled with fear that the Lord would be angry with them, and for this purpose they might be swallowed up in the sea. 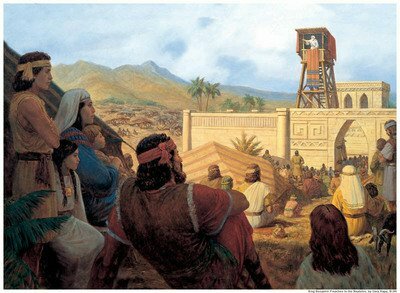 Nephi began to speak with his brothers, to try and persuade them to repent of their actions; this of course only angered his rebel brothers. “…it came to pass that Laman and Lemuel did take me [Nephi] and bind me with cords, and they did treat me with much harshness; …it came to pass that after they had bound me insomuch that I could not move, the compass [The Liahona], which had been prepared of the Lord, did cease to work.” (1 Nephi 18:11-12) Because of the wickedness of Laman and Lemuel, they did not know which direction to travel and their arose a great storm and tempest that caused the ship to be pushed back for three days, and on the fourth day the storm worsened. 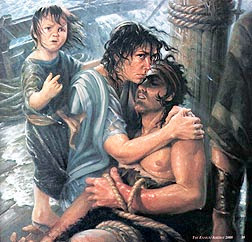 “…after we had been driven back upon the waters for the space of four days, my brethren began to see that the judgments of God were upon them, and that they must perish save that they should repent of their iniquities; wherefore, they came unto me, and loosed the bands which were upon my wrists, and behold they had swollen exceedingly; and also mine ankles were much swollen, and great was the soreness thereof. Nevertheless, I did look unto my God, and I did praise him all the day long; and I did not murmur against the Lord because of mine afflictions.” (1 Nephi 18:15-16) Even though Nephi was miserable, broken down physically and mentally… he praised the Lord! Laman and Lemuel had caused the entire family to be stricken with great affliction, but even with this, they would only soften their hearts if they knew they would be on the brink of destruction. The Lord knows each and every one of us, and He knows that sometimes we need horrible things to happen to us in order for us to wake up and hear his crying voice. Laman and Lemuel both had to be brought right up to the point of destruction in order to realize the power of God and repent of their actions. Laman and Lemuel loose the bands of Nephi, and Nephi did take the compass; “…and it did work whither I desired it. And it came to pass that I prayed unto the Lord; and after I had prayed the winds did cease, and the storm did cease, and there was a great calm….it came to pass that I, Nephi, did guide the ship, that we sailed again towards the promised land.” (1 Nephi 18:22) The Lord wants us to be obedient and sometimes He has to use extreme measures in order for us to hear His voice and follow His command.